Westland 'Garden Health' Cactus / Cacti Compost 10ltr Bag suitable for succulents, provides a compost mix that benefits from excellent drainage due to the added sand and grit. 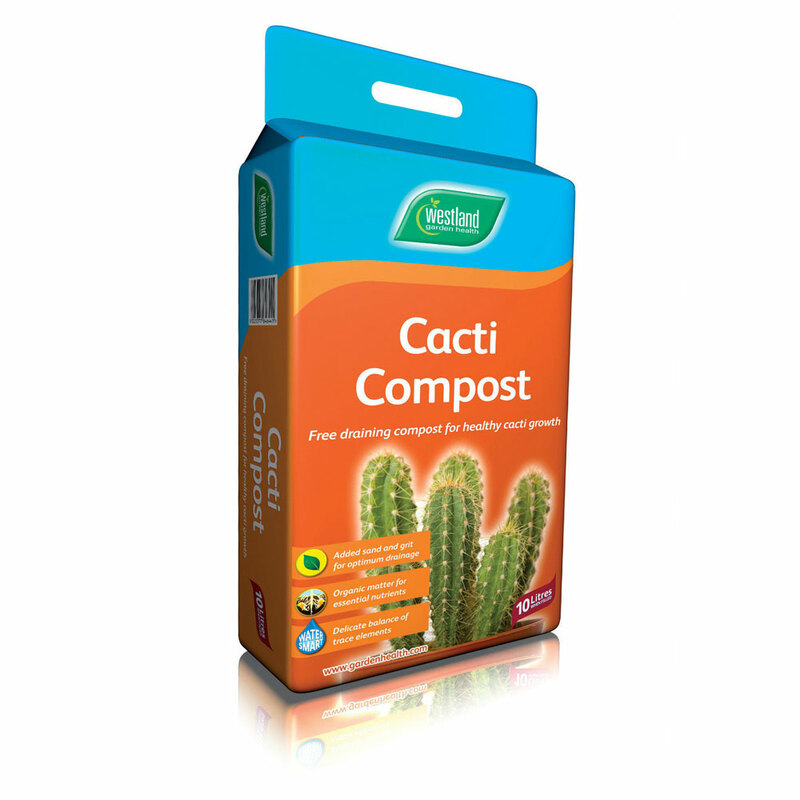 Cactus are pot grown which limits their growth, so this specialist Cacti Compost provides all the nutrients to enable Cacti plants to flourish in their ideal conditions. Westland Cacti Compost contains enough nutrients to meet a Cacti plants requirements for the first 5-6 weeks. Westland recommend a Cactus feed should be used after 6 weeks for best long term results. Water Smart compost retains moisture, limiting evaporation and reduces amount of watering required. Organic Matter is added to supply the natural essential nutrients required by Cacti plants. Optimum Drainage is achieved by adding Sand & Grit ensuring Cacti roots are not sitting in waterlogged conditions.